You see that? That’s why we are happy today. That’s why we are having a thanksgiving today, to thank you for having enabled us to have such a project. It’s another dry day again. The fields are bare with every green standing plant folding its leaves to hide them from the scorching unforgiving African sun. From the temperature gauge in our old tired truck it is around 33 degrees Celsius (92 F). This again has been another dry season for the residents of Tawa, which is located in the highlands of Machakos, in Mbooni East District and has a population of over 20,000 residents. 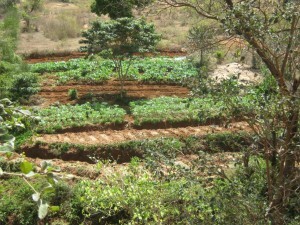 The main economic activity of the area is farming. But with climate change the area is slowly losing its glory. As we approach Kee village we meet a neatly dressed man and at first glance my perception is that this must be a teacher or even the lawyer of the village. However, I soon discover looks can be deceiving and to not judge a book by its cover. I will humbly learn this from the interview I conduct with him later. We greet each other and since he is the age of my father, Kamba traditions are in order. I bend as I am strongly shaken by the firm handshake of our friend Paul Muthama. He is the chairman of Kee Self Help Group, which recently started working with Africa Sand Dam Foundation (ASDF), supported by The Water Project. All of a sudden the atmosphere changed. There is sweet aroma of African delicacies flowing in the air. My mouth waters as I’ve not eaten anything since morning and it’s almost noon time. Women are abuzz with life. Some are dancing while others are busy clapping their hands. There are a lot of activities. The chairman whispers to me that there is a party. A party to celebrate their new water projects, which are a sand dam and a shallow well, funded by The Water Project. From a distance I observe women queuing at the swallow well with one of them pumping water into her awaiting Jerry cans. “You see that? That’s why we are happy today. That’s why we are having a thanksgiving today, to thank you for having enabled us to have such a project,” the chairman tells us as he points to the shallow well below us. 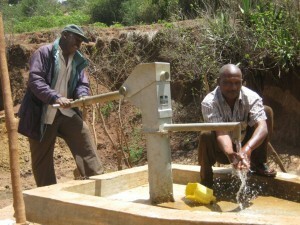 “We used to walk more than 1.5 kilometers to fetch safe water. 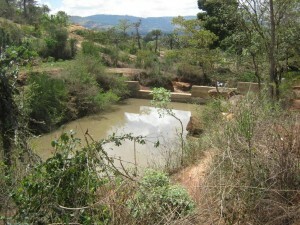 The only existing water source is at the point where we have the shallow well. That shallow well was not covered and waste from dogs and livestock polluted the water making it unsafe for us to consume. 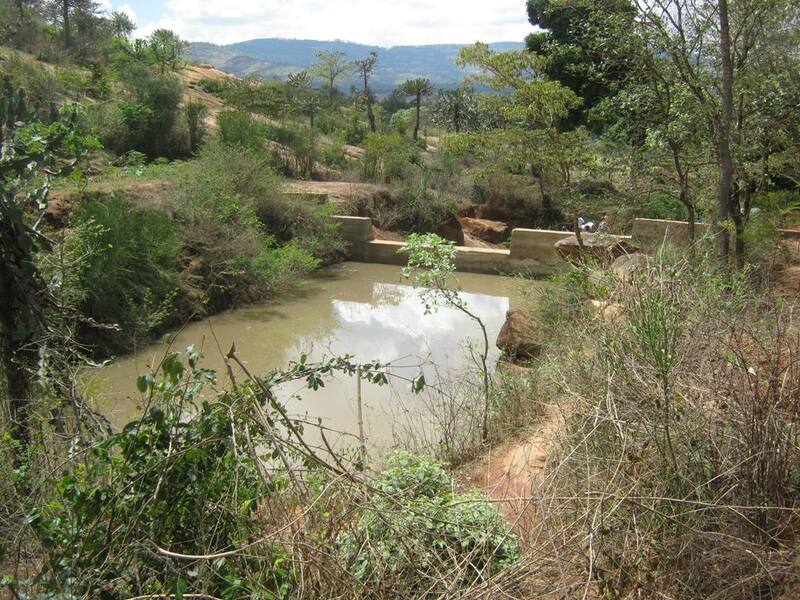 We have since rehabilitated the source and protected it and it is has now become the main fresh water point for the entire village. Vendors from the local town which is 7 kilometers, are now getting water from this point to go and sell it to the residents of the town.” exclaims the smiling chairman. As we part I ask Paul what is the most significant change as a result of being in a group supported by ASDF/TWP. He replies, “For me the most significant change is seeing men being involved in the affairs of development. The men are now supporting the women in fetching water while the women are busy preparing the farms. The women have being taught how to practice sustainable agriculture by ASDF staff while the men have also being motivated to take part in the construction and even fetching water. I tell you our neighbors who are not in the group are jealous of us”! The visit was quite inspirational. Seeing women dance and make jokes expresses the unquantifiable benefits of joy and fulfillment that the projects have helped the communities realize. Of course at the end of the interview I get to be served my favorite dish of Chapati (fried bread) and some well-done stew. I also get to drink cool clean water from the shallow well. 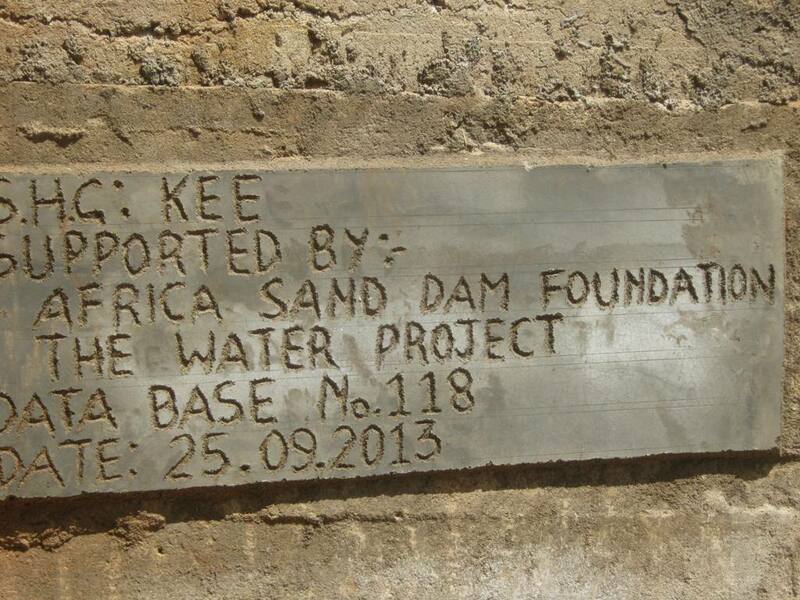 When you invest in The Water Project, you're investing in people like Paul Muthama & the Kee Self Help Group. Your gifts help us reach more communities with the gift of clean, safe water. And every drop helps unlock potential.